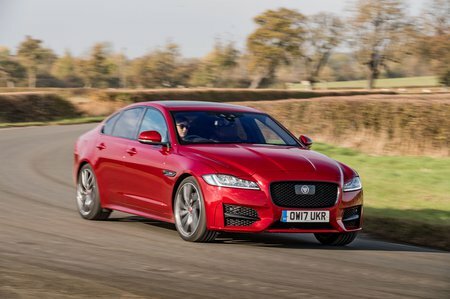 Jaguar XF 2.0i  R-Sport 4dr Auto AWD 2019 Review | What Car? What Car? will save you at least £4,033, but our approved dealers could save you even more. R-Sport models feature all the same kit that's standard on Prestige trim, but add front parking sensors and more aggressive styling both inside and out. This includes black detailing and bigger alloy wheels. We haven't tried this engine yet, but if you want a really fast petrol the V6 is faster and likely to sound sweeter. It isn't that much more expensive, either.